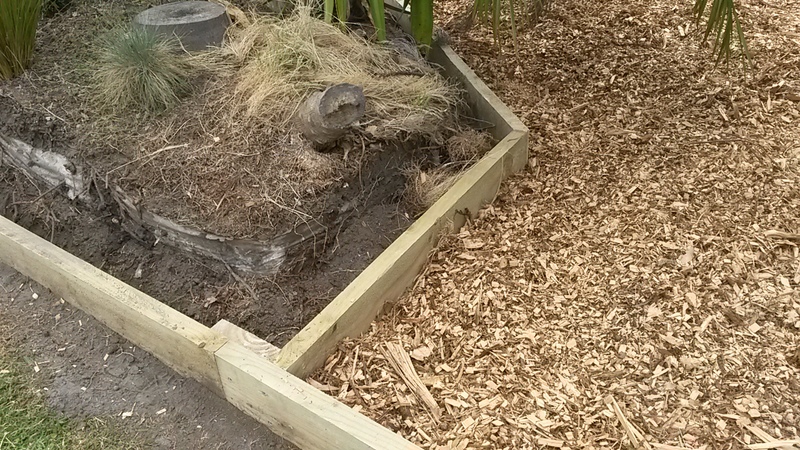 This was originally all grass; first the grass was killed, cypress mulch was put in place, then the timberwork was installed. 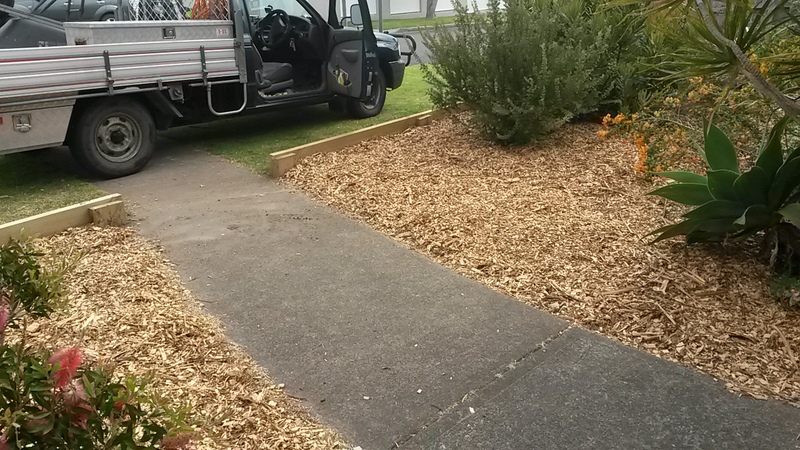 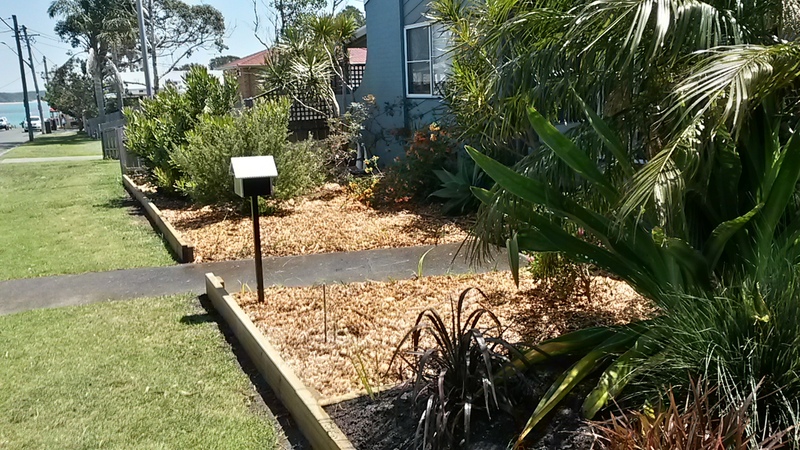 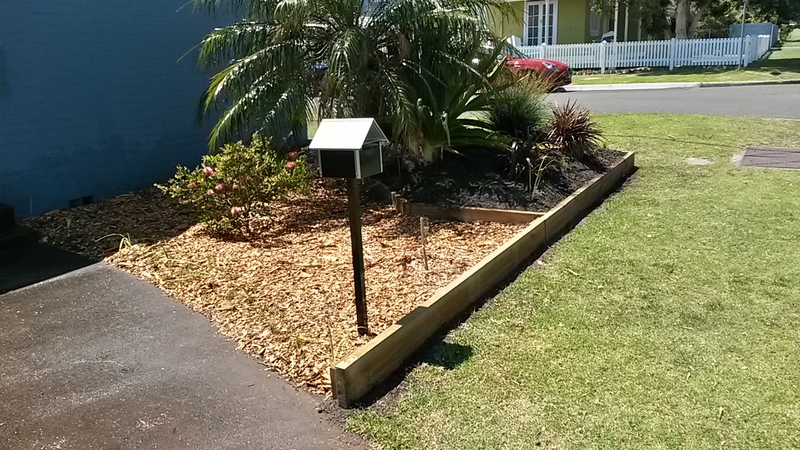 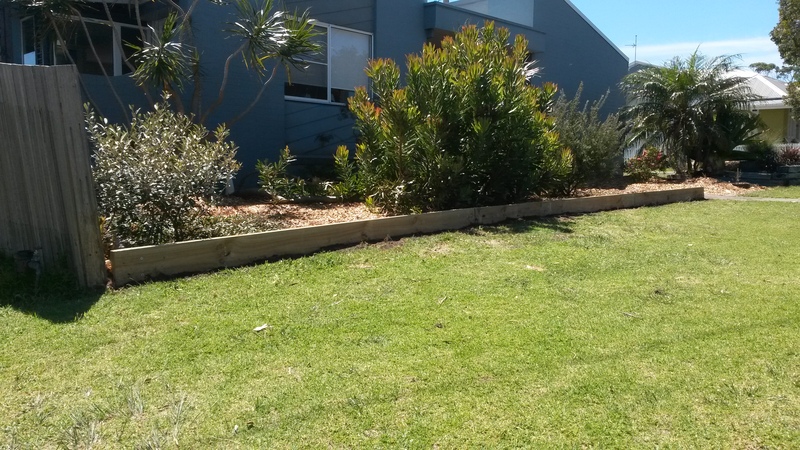 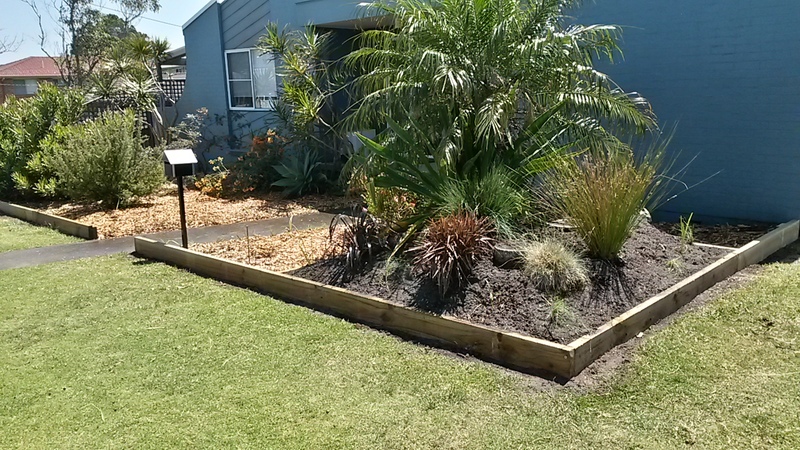 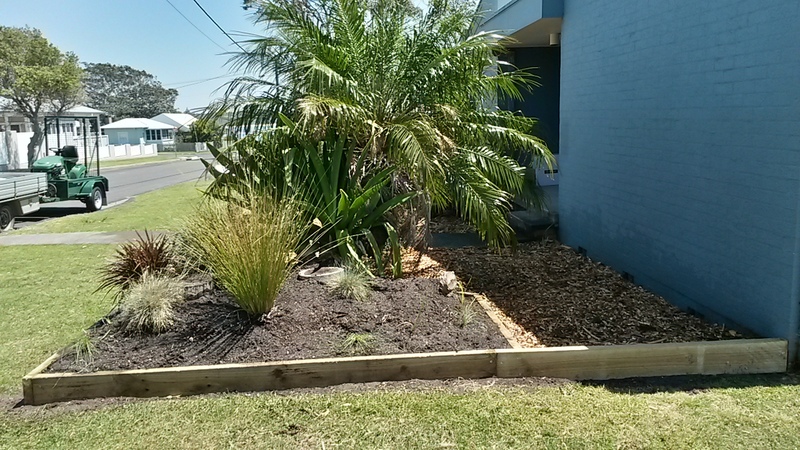 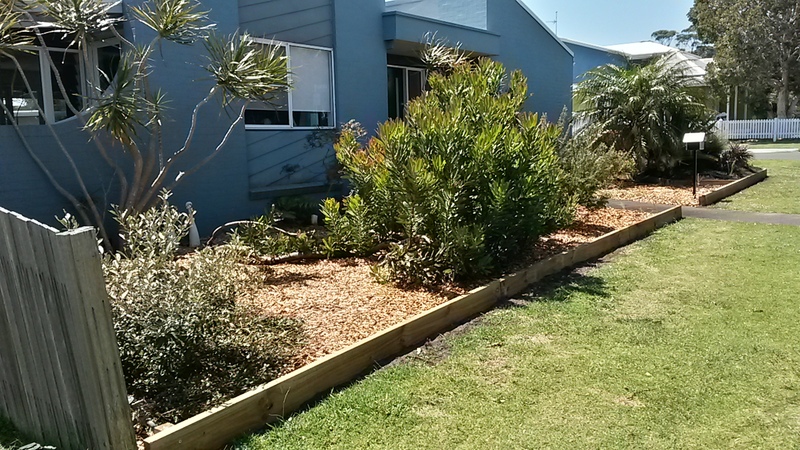 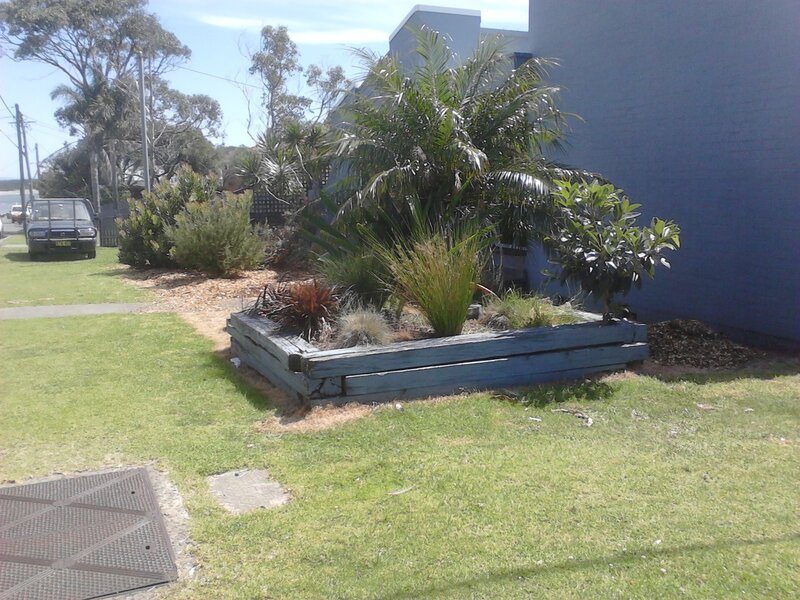 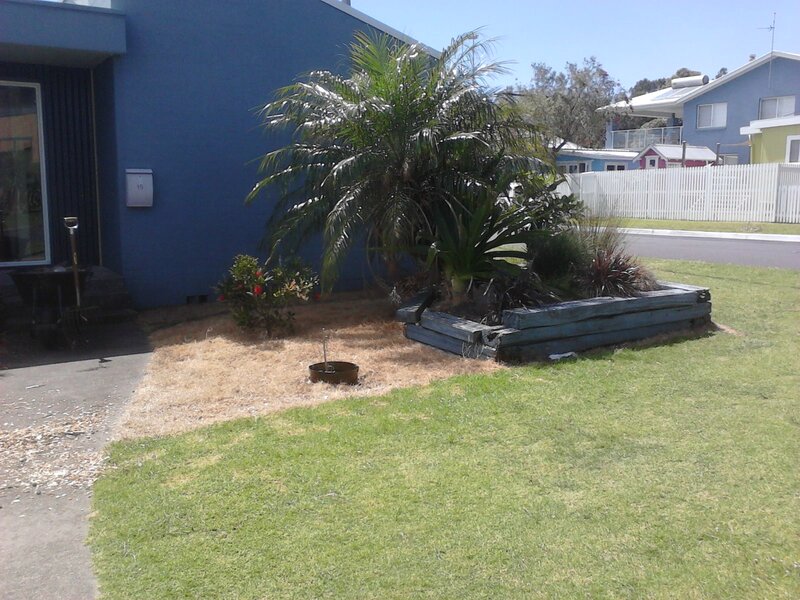 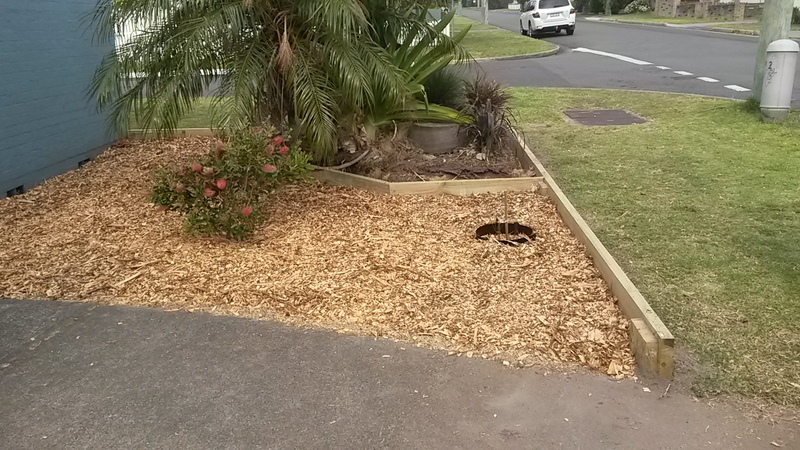 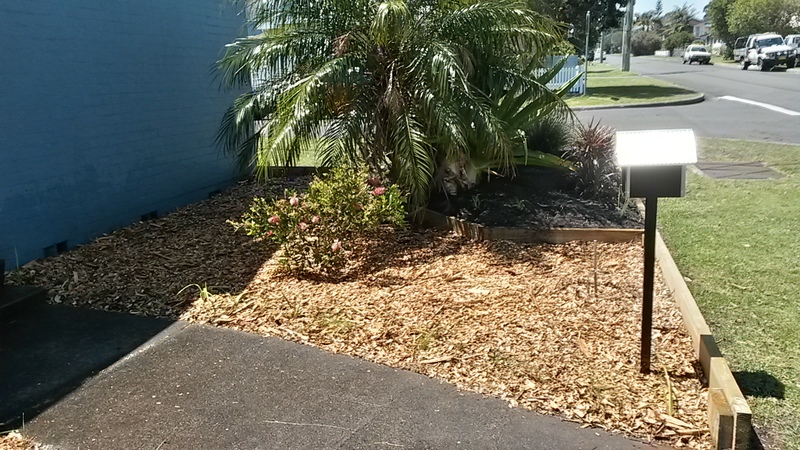 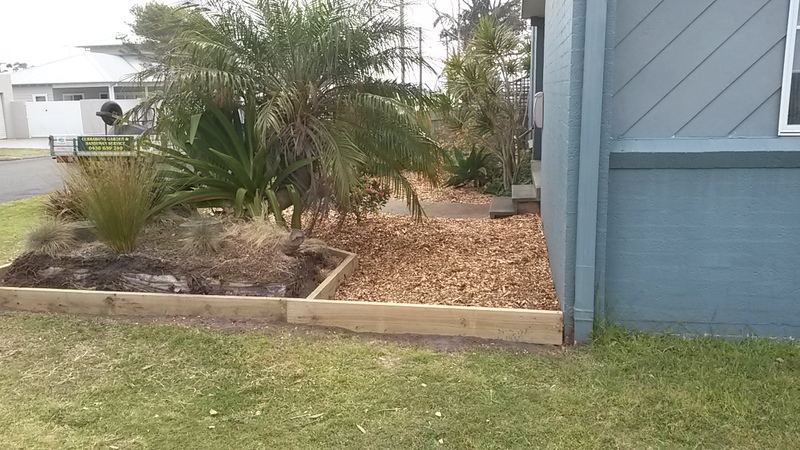 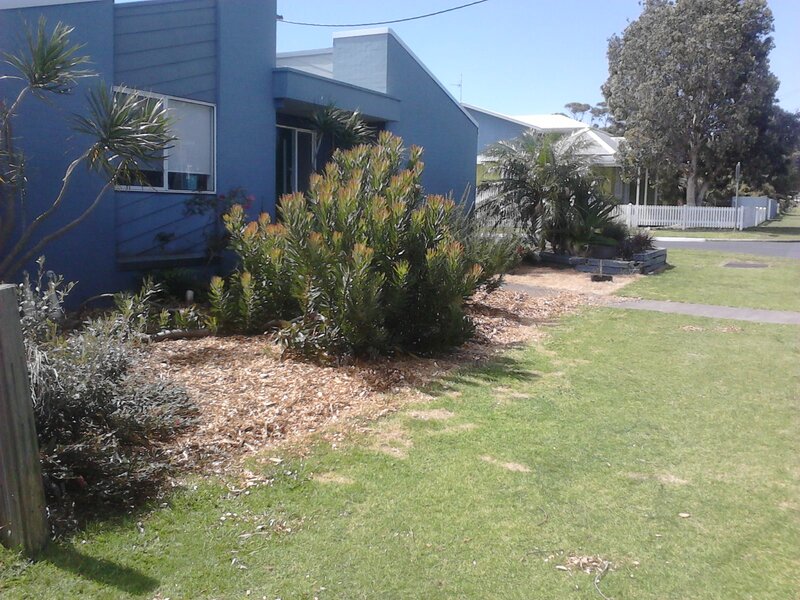 Plants including Dietes, Dianella’s & ornamental Poa’s will be planted along the path to hold the mulch in place. 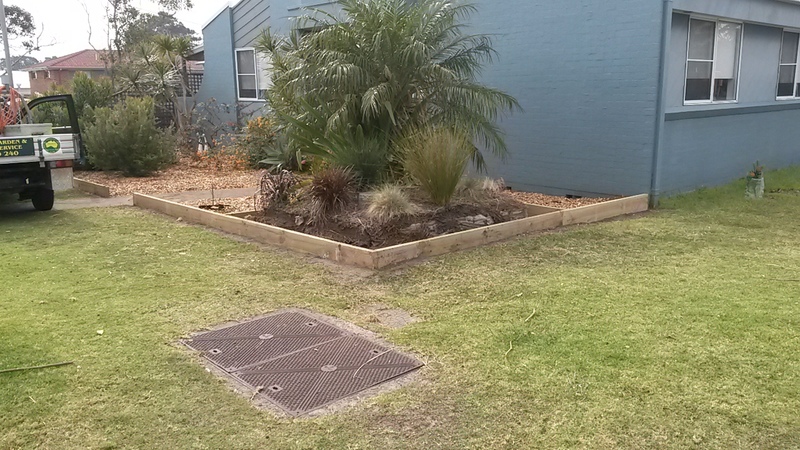 Garden bed will have soil added and more plants installed….